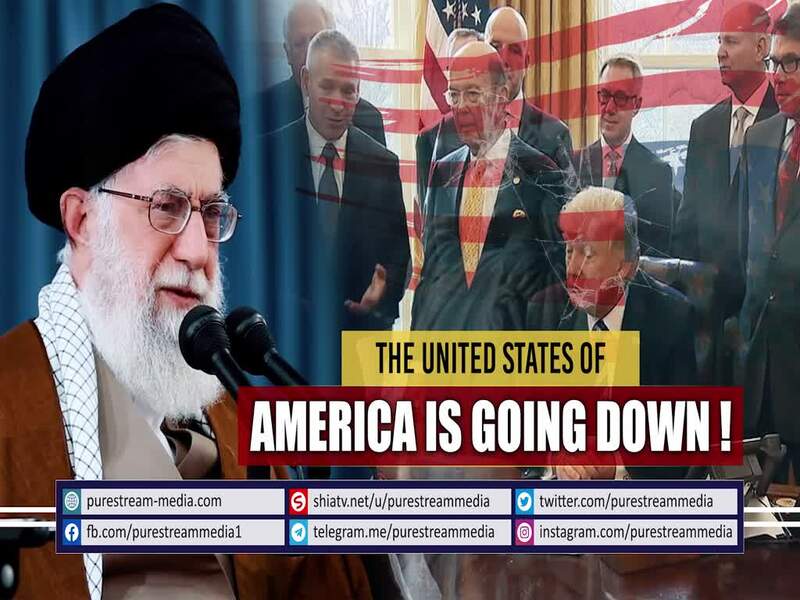 MUST WATCH | The United States of America is Going Down! A good news that many awaited for years. From the victims of Vietnam to those of Hiroshima and Nagasaki, from several countries in South America, from Afghanistan to Iraq to Lebanon to Pakistan to Iran, from every victim of America\'s arrogance to every oppressed who suffers anywhere across the globe - we all await for the time when this biggest terrorist of the work - the US - goes to hell. This divine news is given to us by the Leader of the Muslim Ummah, Imam Sayyid Ali Khamenei.